Whether you know exactly what you want to do, or you're exploring your options, Academic & Career Advising can help you find the right path. Review the credit requirements for BA, BS, and BA/S degrees. Go to Academic Progress on my.evergreen.edu to see your total credits, including upper division science credits. You will be eligible to graduate when you have enough credits to complete your declared degree and when you have submitted your final Academic Statement. All your life, at every school, you've had boxes set out to be checked off. Here your path is your own. Take charge of it in your own way to get your best education. Talk to someone. That might be your current or past faculty, or you can talk to an academic or career advisor anytime — including a peer advisor. Share your concerns and get a broader perspective. Take the time to reflect. Working on your Academic Statement is an excellent way to structure your reflections. Consider an internship or independent learning contract (ILC). Once you've got a solid start at Evergreen, these opportunities can allow you to develop higher-level skills. This is what you gain from an Evergreen liberal arts education. Nobody tells you this, but for many jobs, it doesn't really matter exactly what you take in college. It matters more that you gain the skills in thinking, analysis, creativity, teamwork, and communication that numerous surveys show employers are really looking for. At Evergreen, you're learning more than just the subject matter of your classes. A liberal arts education gives you the tools and skills for wherever you find yourself in a year, five years, or 20 years. Start with your own interests. 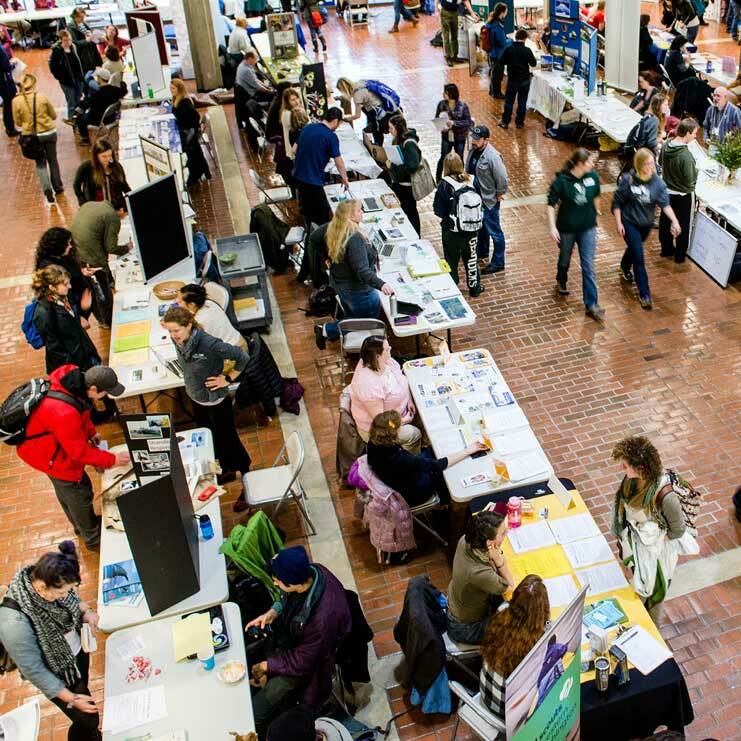 Explore Evergreen's fields of study and the catalog, or talk to an advisor to match your interests to existing programs. Be open to trying something new. College is a great time to explore new ideas and subjects. Talk to your faculty. They've seen your work so far, maybe they have ideas for where you might want to go next. If you want to master a specific subject, they may point you in the right direction. If you don't know what you want to do after college, talk to a career advisor. We can help you with ways to research which types of careers relate to your area of study, to explore options and create a strategy, then work on your own, and come back when it's right for you. We recommend the Campbell Interest and Skills Survey to drill down into your interests and skills. Your results will give you general areas to explore or avoid and give you a sense of what careers might fit. You'll get useful language to continue your research. If you know what subjects you want to take, but can't find what you need in the catalog, talk to an advisor. We're experts in the curriculum! Or talk to us about how to structure an internship or independent learning contract (ILC) to cover subjects or gain skills.